Adopting a healthy lifestyle helps people live a long and happy life. It is especially important for families to remain health conscious as they can encourage one another to make the best choices. Moreover, it sets everyone up for a lifetime of good habits! This article will go over the tips and tricks that you should follow in order to maintain your wellbeing, both physically and mentally. The first factor to consider is that you should always start early. This means that kids should learn the value of healthy living from a young age, and everyone, in general, should start making the right steps towards this life sooner rather than later. It is important to get enough exercise, eat right, spend time outdoors, get health insurance, get enough sleep, and take plenty of breaks for your mental health. Everything will be expanded on below. All families should make a habit of becoming health conscious individuals early in their life. In the event that you have kids, you should teach them the importance of doing so from a young age, as you are setting them up to become healthy adults. Plus, everyone gets old, as it is an inevitable part of life. With age also comes the increased chance of facing health issues and various diseases. Instead of spending quality time with your family, excelling at work, and enjoying life overall, you will be focused on all of the health problems that could have been avoided if you took better care of yourself. As you might have already guessed, exercise is a key component of a healthy lifestyle. It has numerous physical and mental health benefits, and there are various different activities that you can choose from. Your family does not need to go to the gym; instead, you can encourage walks and hiking, especially on the weekend, and perhaps even swimming if the weather permits it. Working out will teach everyone the importance of discipline and focus, and improve metabolism along the way. What are your eating habits like? Many people neglect the importance of diet; although even working out cannot help you live a healthy life if you do not eat properly. First, this does not mean that anyone should eat less. 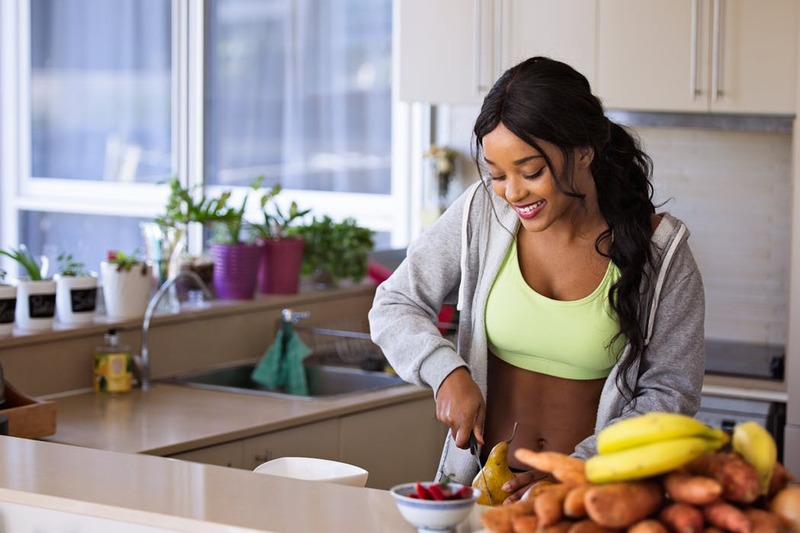 You must, instead, eat balanced meals several times a day that are filled with the vitamins and minerals your body needs to function properly. Proper nutrition further reduces your chances of getting sick and falling victim to diseases. As tempting as bad food sometimes is, adults should not buy junk food, fast food or food high in sugar, as this is the worst possible fuel for your body. Spending time outdoors with the whole family is always a good idea. Depending on the season, there is always something to do. When the weather is warmer, you should make a point of driving to a scenic spot and walking around – it will even help everyone relax and de-stress. Moreover, you can never underestimate the importance of breathing fresh air and simply taking a break from your regular indoor routine. Even in the winter you can go skiing, skating, tobogganing, or spend some time building a snowman if there’s enough snow. All of these will benefit you as they get you up and moving. As careful as you may be, anyone can get sick at any point. What if you accidentally break a bone or sprain your foot? It is paramount for you to take the time and research the best possible health insurance in order to be prepared for these types of situations. Moreover, the older you get, the more important it is for you to look into the proper Medicare insurance. Although often offered through work, it may not be the exact plan that you need for your life. Every family should look into Medicare supplement plans in order to cover the health care costs that original insurance does not. How many hours of sleep are you getting a night? Most people require a minimum of 7-8 hours in order to properly function and if they want to look out for their health and wellbeing. You will also notice that when you do not sleep enough, you will become irritable and have a hard time concentrating. It’s only natural for families to bicker with one another at times, but if this is your norm, one of the reasons could be due to the fact that none of you are resting enough at night. Mental health is just as important as physical, and family members must make a habit of taking a break from the stress that everyday life can bring with it. Whether it’s through work or school, everyone has tough days. That being said, you should not let the anxiety fester, as it will cause your health to decline. Consider taking time off for a family vacation, for example, so you can all relax and even spend some quality time together. If travel is out of your budget, you can also set aside time every single week for family time, where you do nothing else but talk and enjoy one another’s company. When loved ones make a point of encouraging healthy living, everyone is building habits that will last a lifetime. It’s never easy to break out of a regular routine, especially when your norm may involve you eating junk food every single day and sitting on your couch for countless hours on end. As soon as you make it a family plan to improve health, you will have a much easier time adopting the lifestyle given the fact that you will not be doing it alone. No matter how old you currently are, it’s never too late to make the switch to a healthier and thus better lifestyle. Plus, when you make it a family habit, the entire endeavor will become more fun because you will have people that can both keep you company and encourage you to make the right choices at all times.